Lemonade Makin' Mama: Bless my SOUL. You guys. My heart is bursting over here!! Secondly. Speaking of seasons... Last night while chewing on dinner that my kids collaborated on making (jumping up and down for joy over this stage of life) I began to list off to Adrain, all the ways God has come through for us recently. It's been a domino effect of goodness. Some have been silly things while others have been things that would have broken us three months ago... like a busted glass sliding door.. under warranty, no charge to us to replace when we were panicking and thinking $1000. A lost kid cell, happened to be upgrade time and replacing it was free to us, not to mention an awesome free upgrade for me when I wasn't even thinking about it! A few gallons of paint found in the mis-tinted pile that we were able to get re-tinted into the exact color we wanted to paint our house...(stay tuned on that!) the broken down car situation... I can't even speak of that blessing without melting into a puddle of grateful tears. My hubby's job has been blessing him right and left... which in turn blesses me. I want him to be as happy in his job as I am in mine!! I listed a few more things on a personal level but our conversation went on and on, counting blessings that make our eyes water with grateful tears. The point... God is GOOD and I was right to believe that He would rescue us. He hasn't always rescued us in ways we thought He would. Most times it wasn't anything like we thought. But He didn't ever leave us high and dry over these past four years, and my faith has surged with this last round of tide turning. Two years ago we felt like we were in a season of loss... and I clung to the belief that seasons don't last forever. They will change and God is faithful. I've been digging into Beth Moore's A heart like His book. And wow. Filling my journal daily. Thirdly. And having nothing to do with anything I've previously said. Skillet cookie. You must go out and make this recipe! It's the best. (I substituted cup for cup gf flour in mine.) I used a small cast iron skillet (fed four of us generously) and it made enough for two, so I froze the other half of the dough in a flat round, and it's perfect for impromptu company. Blessed be the name of the Lord"
I'm so curious about "retinting" the mistinted paint since we were recently sold way too much of expensive BM paint. Do tell. . . So glad to hear that the car situation has been "fixed!" May the blessings keep on comin'! So happy for you all. AND skillet cookies are the best! Thank you for sharing the Good News! 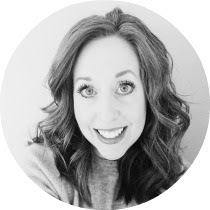 Rejoicing with you....and your photos from the 4th of your kiddos are so sweet! Things have been hard, I know....but, now you're rainbow looks extra beautiful!!! Joy, Joy, Joy!!! God has been having some fun with us too, lately! Hubby's been working in Seattle for 2 years...thinking we should sell...almost rented it out for 4 years...job offer out of the blue...moving back to Lynden in 2 weeks!!! Praise the Lord!! YOU Bless my soul, sweet lady! Rejoicing with you that God has refreshed your weary souls and sent some much needed blessings. So glad you are taking a season of "no's" too! I actually think it is such a healthy summer practice while your kids are still at home. The time just flies by too soon and you won't regret saying no to everything else and yes to your family! SO... when school starts up - I want your first "Yes" to a day with me and antiquing :) And as always - we are a great resting place if you head our direction!! Oh my word that looks so seriously divine!!! What gf flour did you use? I NEED to make one:) And get a bit of cashew ice cream to eat on the top...YUUUM!! Sasha, I am so happy that God has blessed you in so mNy ways! God IS good! And your kids are getting so big. I guess that means mine are too! 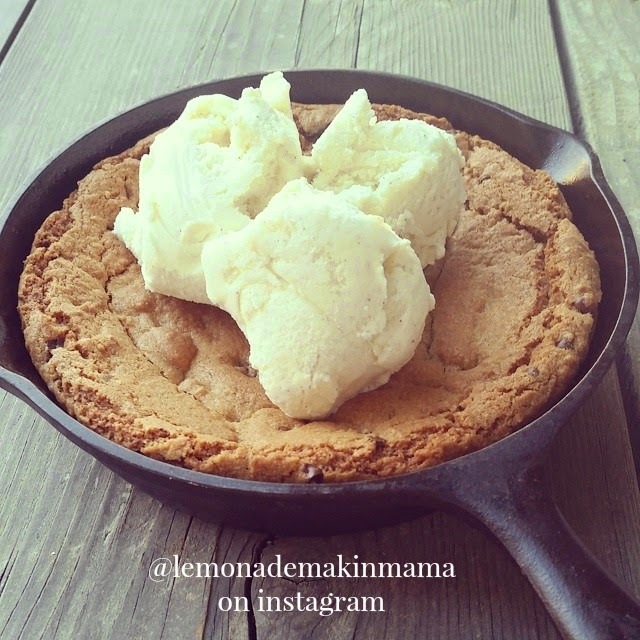 That skillet cookie, oh my! I am guessing you made it gluten free? Hmm, something to think about. Also, I wanted to tell you I was looking at the pictures of your home ( which I have done a zillion times,) and it prompted me to go on a cleaning frenzy today blaring my country music!